All of our vehicles are finished to the highest specifications and licensed as limousines or coaches. We hold an EU International Passenger Transport License and have been in business since 2004. 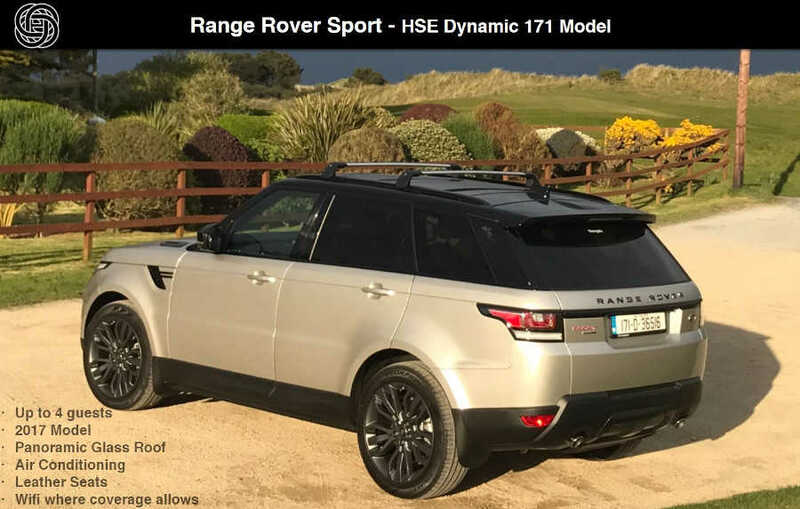 Most of our drivers are qualified tour guides and we provide a nationwide service throughout Ireland originating from our office at Dublin Airport. 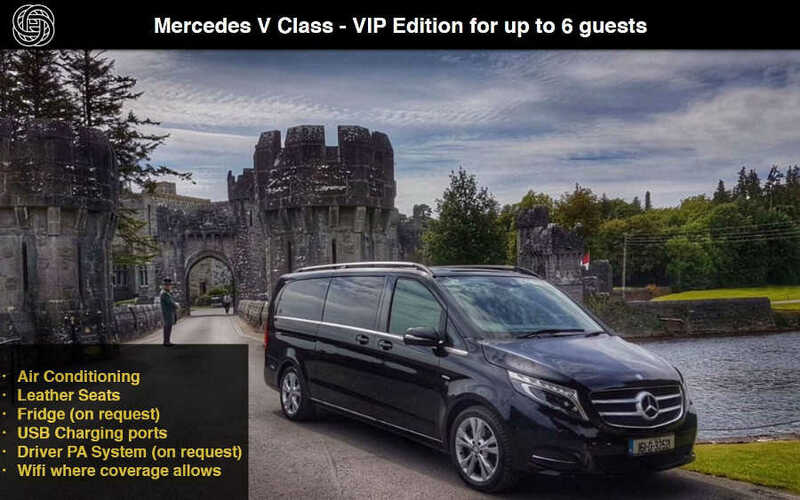 The V Class is the most popular vehicle for extender touring. 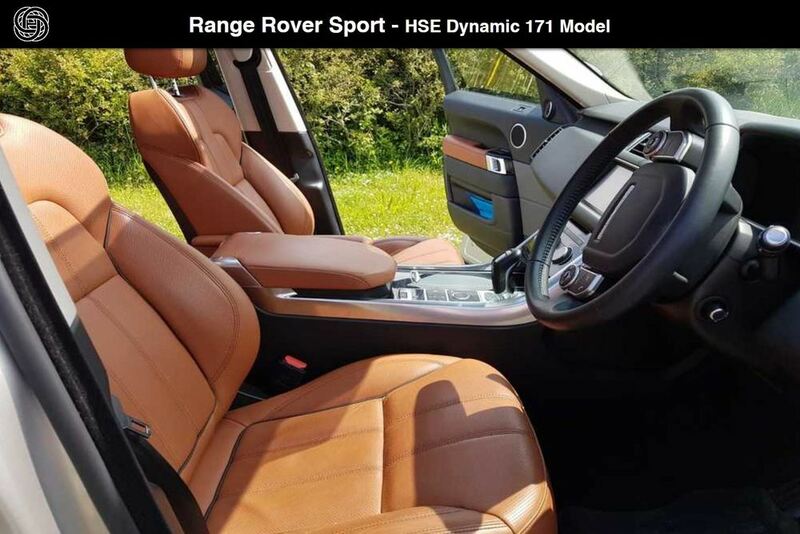 With seating for up to 6 guests this vehicle serves many a purpose. 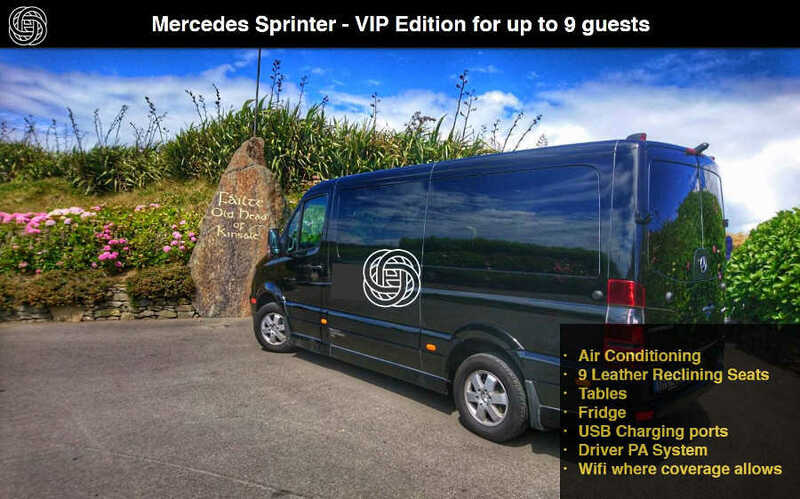 Ideally for touring with a driver guide, corporate road shows, golf days and airport transfers. 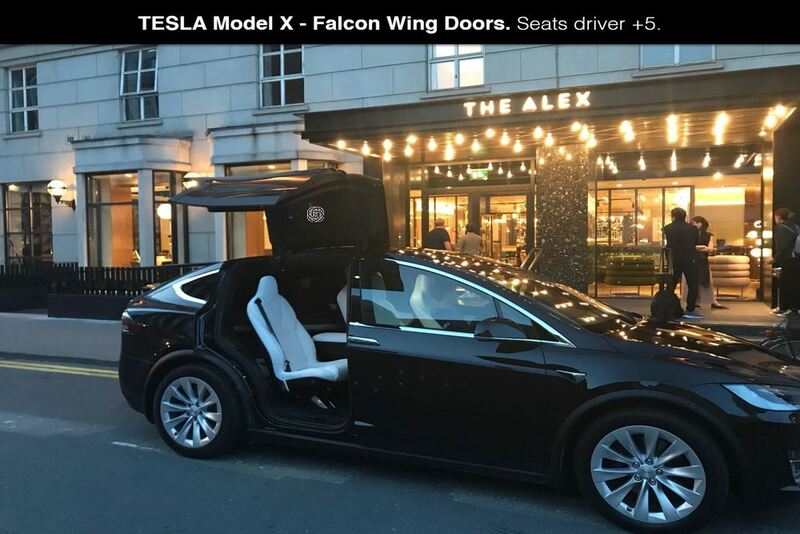 Fully electric supercar with seating capability for 5 guests. 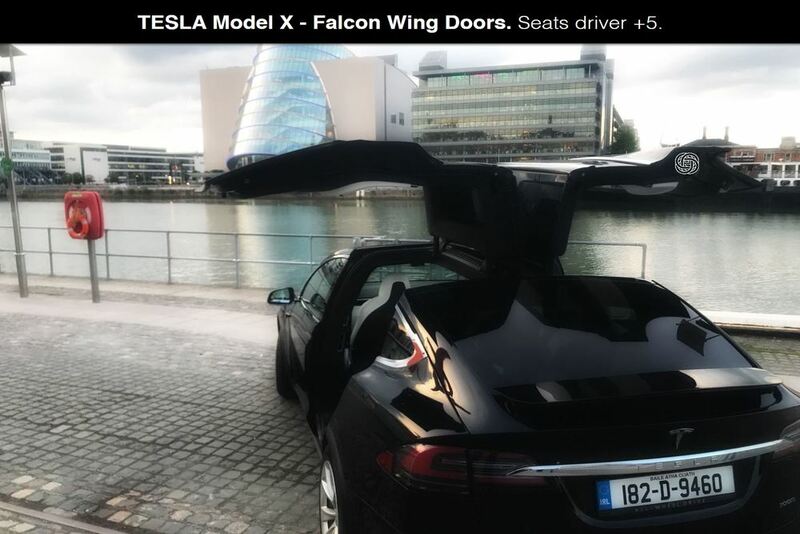 The TESLA Model X with falcon wing doors is a guaranteed wow factor and the interior technology as well as the piano theme design will deliver unparalleled comfort. This is a beauty! 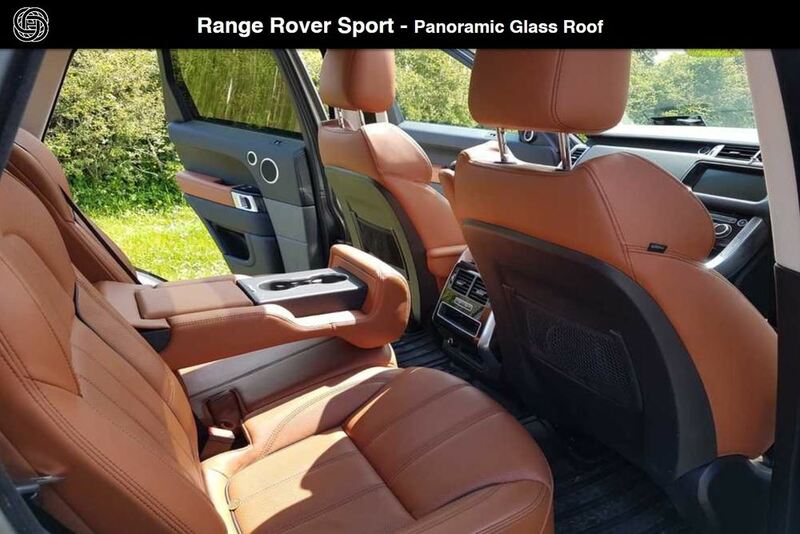 Range Rover Sport HSE Dynamic with panoramic glass roof. 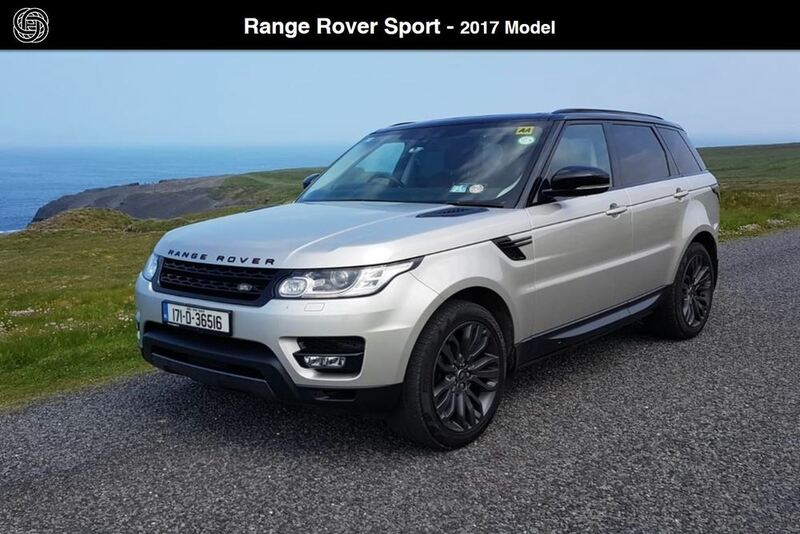 This is one of the few four wheel drive limousines available in Ireland and came to the rescue of many during the '2018 Beast from the East'. 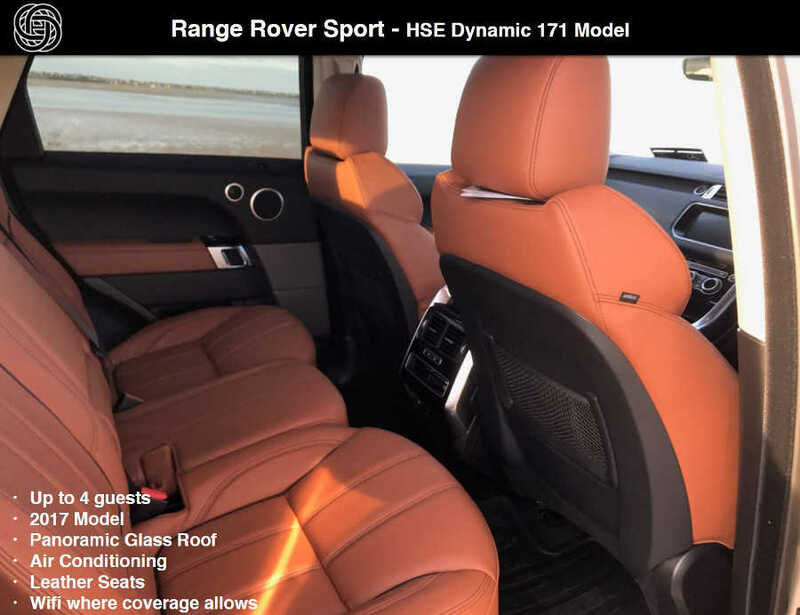 The best way to describe the interior is to imagine first class airplane or private jet seating and take it to the road. 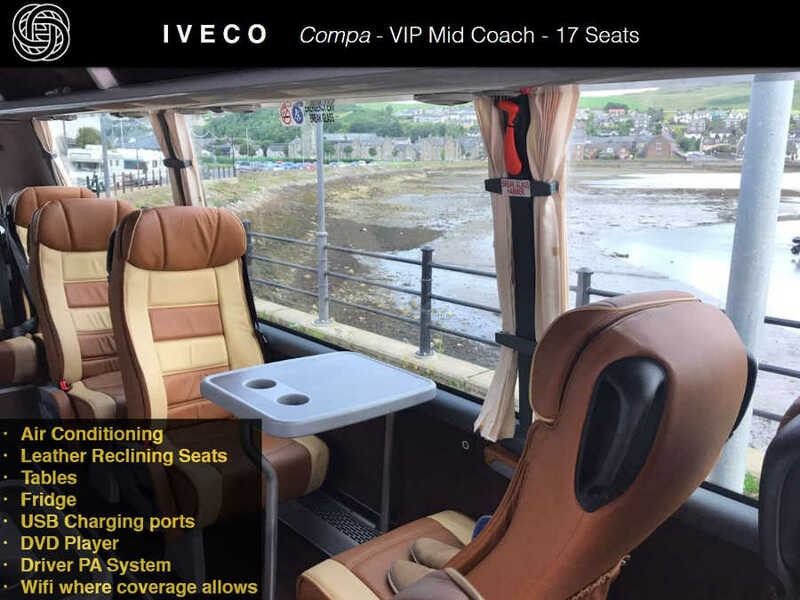 This is a spacious and luxurious mid sized coach originally configured as a 30 seater coach but fitted for max comfort with larger seating and space. 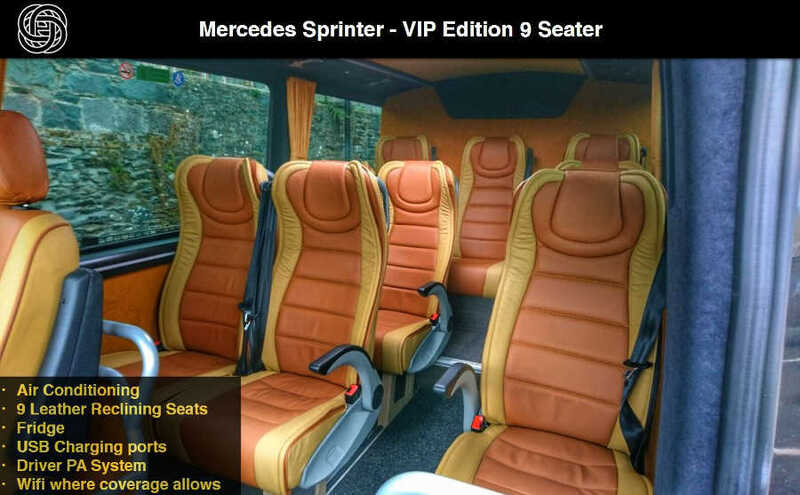 The Mercedes Sprinter is a luxury mini bus with executive leather seating for 9 guests. 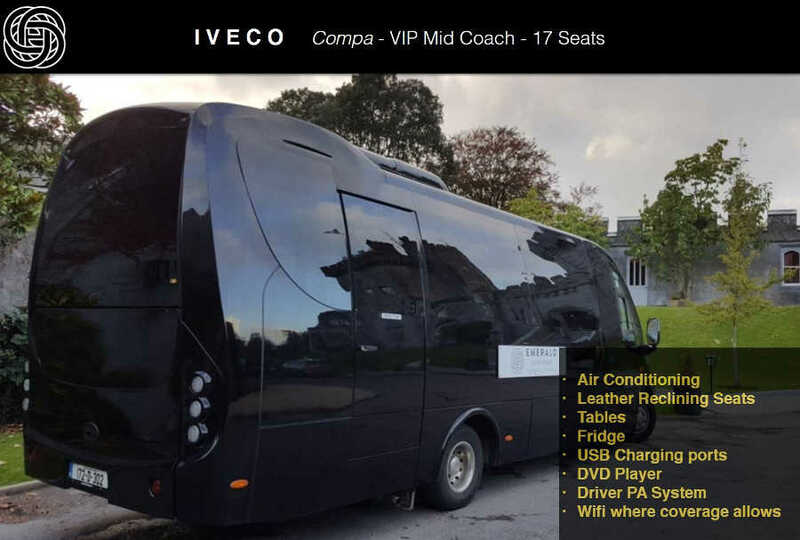 The vehicle has air conditioning, a PA system and plenty of luggage space for 9 guests. 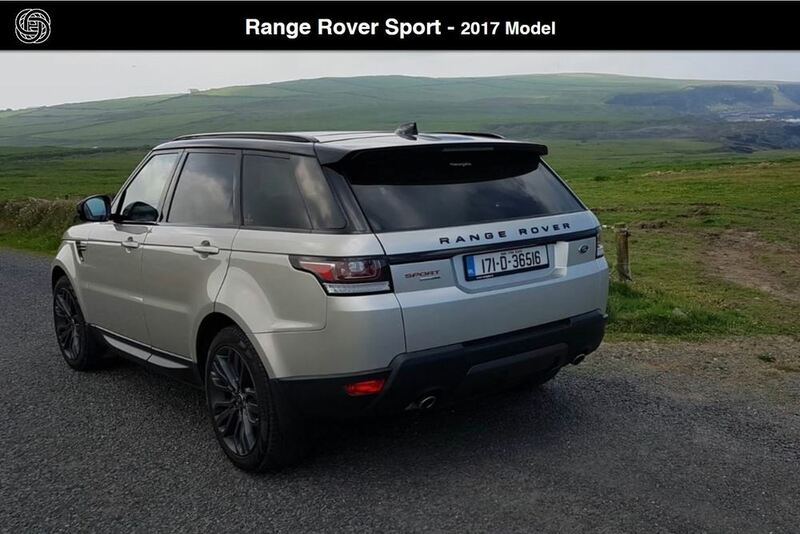 Range Rover Sport in light gold - 2017 Model VIP Spec with panoramic glass roof and Santorini Black top.